Karamian, E., Emadi, R., Monshi, A., Emadi, H. (2017). The Role of Nano Sic Whiskers on the Strength and Density of Aluminum Silicate-SiC-C Compounds as a Reinforced Steel Refractory. International Journal of Iron & Steel Society of Iran, 14(2), 43-48. E. Karamian; R. Emadi; A. Monshi; H. Emadi. "The Role of Nano Sic Whiskers on the Strength and Density of Aluminum Silicate-SiC-C Compounds as a Reinforced Steel Refractory". 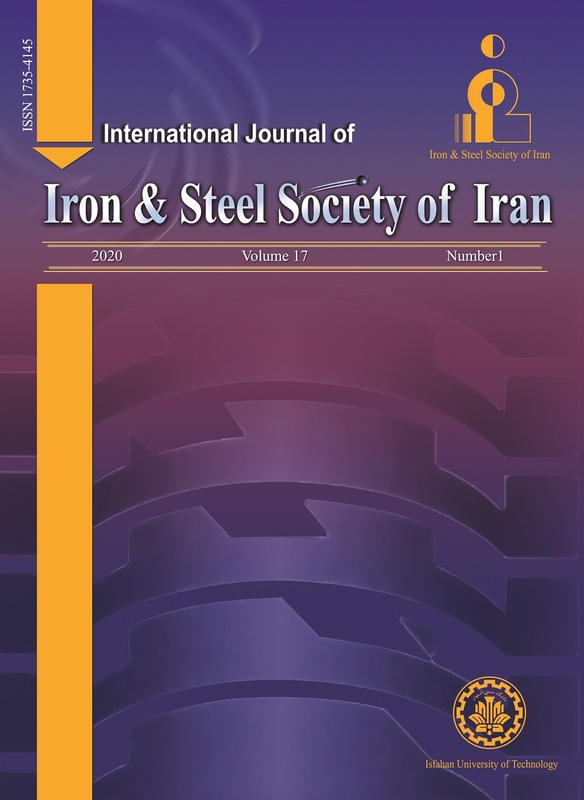 International Journal of Iron & Steel Society of Iran, 14, 2, 2017, 43-48. Karamian, E., Emadi, R., Monshi, A., Emadi, H. (2017). 'The Role of Nano Sic Whiskers on the Strength and Density of Aluminum Silicate-SiC-C Compounds as a Reinforced Steel Refractory', International Journal of Iron & Steel Society of Iran, 14(2), pp. 43-48. Karamian, E., Emadi, R., Monshi, A., Emadi, H. The Role of Nano Sic Whiskers on the Strength and Density of Aluminum Silicate-SiC-C Compounds as a Reinforced Steel Refractory. International Journal of Iron & Steel Society of Iran, 2017; 14(2): 43-48.
binder. Different values of additives (such as silicon and ferrosilicon metal) were added to a batch of 100 g of mixture. β-SiC whisker was not fully formed. S.B.Bosall, D.K. Henry: J. Am. Ceramic Soc.,13(1985), 331. F. Chan, B. B. Aregent, William E.lee: J. Am. Ceram. Soc., 81(1998), 3177. J. R. Parsons, P. Forest, H. L. Rechter, United States Patent Number: 3810768, (1974), 1. K. Yamaguchi, S. Zhang, J. YU. Hashmato: J. Ceramic Soc. Japan., (1991), 341. K. Akamine, T. Suruga, J. Yoshitomi, K. Asona: Internationals feuerfest- colloquium, Achen, (2006), 1. Fangbao, Ye, M. Rigaud, X. Liu, X. Zhong: Ceramics Int., 30(2004), 801. H. Nishio and A. Matsuo: Taikabutsu Overseas.,15(1995), 15. J. I. Kroschwitz: Concise Encyclopedia of Polymer Science and Engineering, Wiley & Sons, New York, (1990), 213. J. Y, R. Pedro, H. Long, N. Saha-chaudhury, B. Russell and S. Veena: ISIJ Int., 46(2006), 1570.